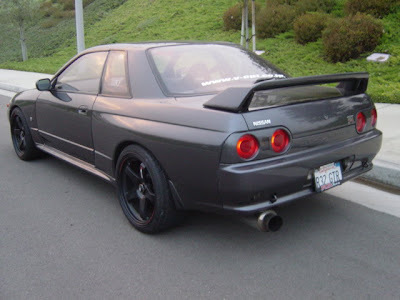 If you guessed R32 Nissan Skyline GT-R, then you would be correct. 21 years old. Legal to drink in the US. Cars don’t drink though. Well, nothing that makes them drive funny, unless by funny you mean fast. So what does 21 years old really mean, when we are talking about cars ? Not originally imported cars ? If the vehicle is at least 21 years old, there are no EPA compliance requirements upon importation. The age of the vehicle is determined by subtracting the calendar year of manufacture from the calendar year of importation. If the calendar year of manufacture is unavailable, the importer may substitute the model year or year of first registration. For instance, to qualify in 2001, the vehicle must have been manufactured in 1980 or earlier. The vehicle must be in its original unmodified configuration. Vehicles at least 21 years old with replacement engines are not eligible for this exemption unless they contain equivalent or newer EPA certified engines. No approval or Customs bond is required by EPA. The importer must also prove to Customs, as required, that the vehicle or engine was manufactured prior to EPA regulation. Documents such as a title, or letter from the original manufacturer may be used for this purpose.The importer must file with Customs, upon entry, an EPA Form 3520-1 and declare code "E" on that form. However , as with many other things government related that make no sense, you still must meet DOT, FMVSS requirements. Well, at least until its 25th birthday, then you are also DOT exempt. AND yet another HOWEVER, is California requirements, if you are in California. 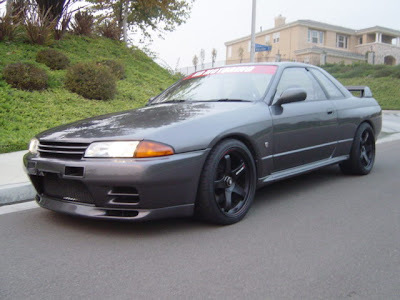 Happy Birthday R32! Sean, you keep reminding of my old love when you use those pictures!!! !